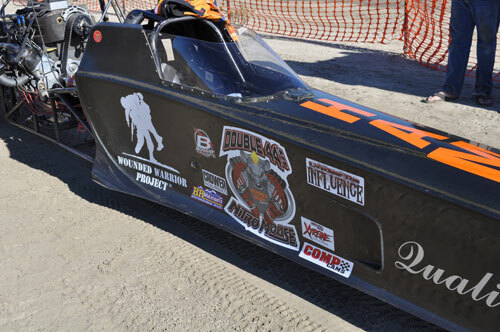 Hammer Down Racing is home to the Quickest Top Fuel Sand Dragster on the planet. Owner/Driver Dennis Rieck is the driving force behind the Hammer Down Racing operation. Dennis ran a unique Nitro-burning Small Block powered Fueler successfully for many years before switching over to a Hemi in 2012. 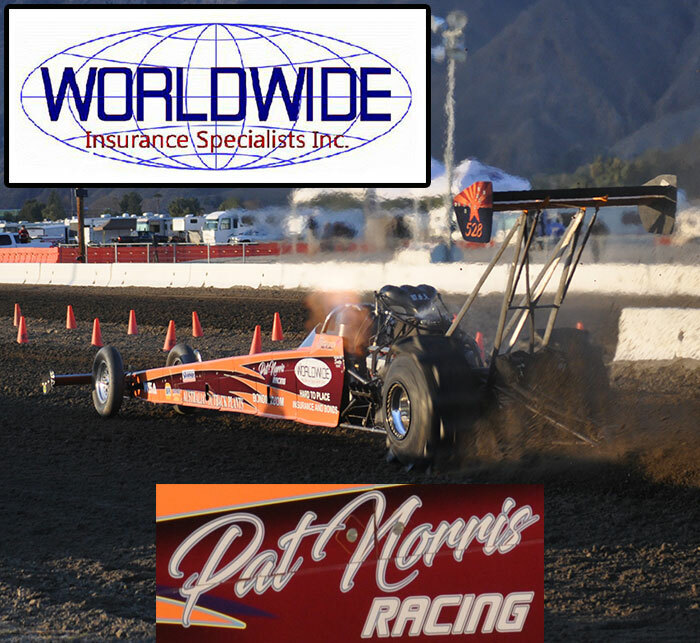 Since the switch, Dennis and his team has quickly adapted to the Hammer Down Hemi and recorded the Quickest Top Fuel pass in history at Dome Valley Raceway in October of 2012 with a 2.163 ET. 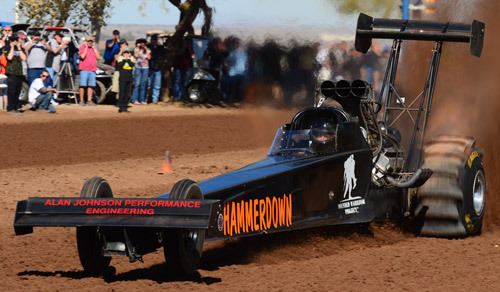 The Hammer Down team has scored three Top Fuel championships in a row, including setting the six quickest passes in the class during the 2013 season. They recently got a quick start to the 2014 season with a big win at the 5th Annual Dome Valley Raceway Top Fuel Shootout. The Hammer Down team would not be successful without a great crew, and that is certainly what Dennis has assembled. The crew consists of Jeff Parker (Car Chief), George Roston, Jason Estes, Derek Vanderwaal, Randy Panno, and the newest member of the team Chris Parker. Jeff Parker, the Car Chief, has been with the team the longest and has not missed a race since he came on board. These guys have worked super hard developing this unique combination into a contender. One of the biggest aspects about the sport that appeal to Dennis & the Hammer Down team is the family atmosphere. This group is also family oriented as Dennis’ wife Lani is always trackside shooting video of each pass & lending great support to the team. Their son Brandt has dabbled in sand drags having success in the bracket classes with his Jeep. Look for the Hammer Down Racing / Nitro Mouse team in Top Fuel action at all of the west coast races in 2014. Crew: Jeff Parker (Car Chief), George Roston, Jason Estes, Derek Vanderwaal, Randy Panno, Chris Parker, Lani Rieck. Sponsors: Quality Aircraft Care, Alan Johnson Performance Engineering, CN Blocks, MGP Rods, Venolia Pistons, Crower, Comp Cams, AFT Clutches, A1 Technologies, Chrisman Driveline Components, Skat-Trak, Bogart Wheels, and J.I. Machine. 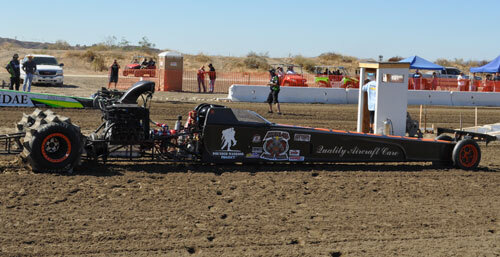 The current Hammer Down Hemi Top Fuel Dragster taking the win at Dome Valley Raceway's 5th Annual Top Fuel Shootout. The Hammer Down crew does a great job preparing the Hemi to reach its full potential. The Hammer Down Racing Nitro Mouse approaches the starting line at the Season Finale of 2011 at the Soboba Casino in San Jacinto, CA. Dennis proudly flies the Wounded Warrior Project logo on the Nitro Mouse as he is a huge supporter of the great organization that helps our troops. 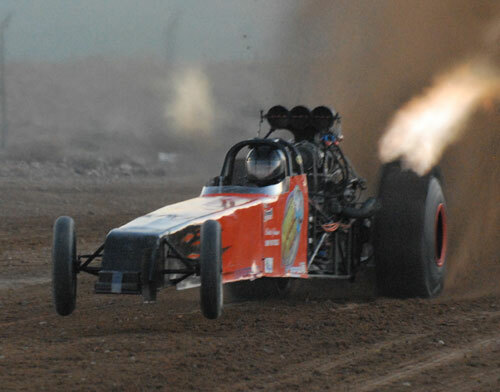 The Hammer Down Small Block en route to the team's quickest pass ever 2.225 at Primm in October 2008. Dennis & the potent Mouse had a banner year in 2007 with two event wins & a close second place points finish.